Teach yourself how to play guitar with our easy fingerstyle guitar lessons for beginners. 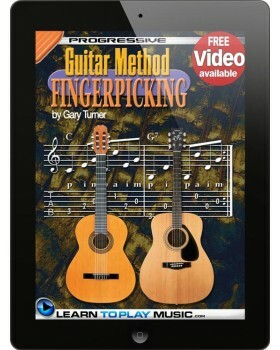 Progressive Guitar Method - Fingerpicking contains all you need to know to start learning to be a great fingerstyle guitar player - in one easy-to-follow, lesson-by-lesson fingerpicking guitar tutorial. Suitable for all ages and all types of acoustic guitars. Basic knowledge of how to read music and playing the guitar is required to teach to learn to play guitar from this book. 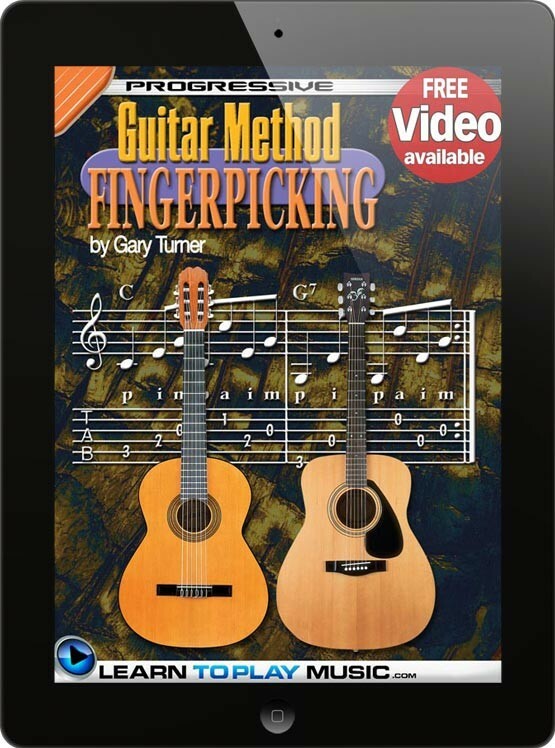 How to play guitar fingerpicking patterns that can be used as an accompaniment to any chord, chord progression or song. Shortcuts for how to learn guitar fast by getting the most from guitar practice sessions.